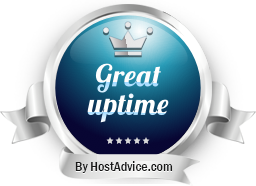 Web hosting experts since 1998 servicing over 50,000 customers globally. Shinjiru is a one-stop IT provider for domain names, web hosting, dedicated servers, cloud platform and Microsoft solutions. For many years, we are the leader amongst the most successful and prominent web hosting providers in Malaysia. Through many years of hard work and dedication, we have developed solutions for all market sectors and have grown to offer cutting edge web hosting solutions. Through technological innovations, we continue to strive to offer our customers new and improved ways of going online. We understand that going online is no easy feat so rest assured that Shinjiru will always be there 24/7 for you every step of the way! Since 1998, Shinjiru has remained a hosting leader with our continuous achievements. Our team continue to grow with our Command Centre operating 24/7 around the clock. Our teams work 24 x 7 x 365 ensuring your services are up all the time. Our mission of building trust online is embedded in our corporate culture. We strive to provide the best customer experience by offering a superfast network, up to 99.999% uptime guarantee and a 24/7 phone, live chat and ticketing support system. Shinjiru serves over 50,000 businesses worldwide and to stay ahead, we work closely with the very best local and international industry partners. Businesses around the world trust Shinjiru to deliver the best web hosting services in the industry. Try us and feel the difference today! Since 1998, Shinjiru has remained a web hosting leader with our continuous achievements in transforming the internet’s web hosting eco-system and marketplace. We offer a wide range of products and services, such as Domain Name Registration, SSL Certificates, Shared Hosting, Website Builder, Website Design, Mailblast Solution, Website Security, Dedicated Server Solutions, Server Virtualization, Virtual Private Servers, Colocation, Disaster Recovery, Public Cloud, Private Cloud, Microsoft Office 365, Microsoft Exchange Online and so much more. We own and operate all our servers and our dedicated team is capable of handling the demands of any size. Over the years we have achieved many awards and certifications such as ISO9001:2008 Certification, APNIC IP Provider, Certified ICANN Registrar, Official MYNIC Partner, MSC Status, Deloitte Technology Fast500 Award, Microsoft 1-Tier Cloud Solutions Provider, Microsoft Silver Certified Partner and many more.